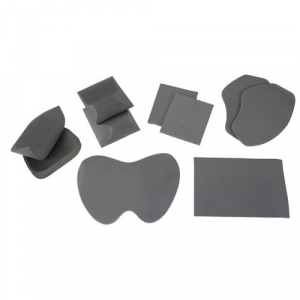 Self-adhesive closed mini-cell knee pads for canoes and C-1 boats. Can be further shaped using the supplied sandpaper. Sold in pairs. 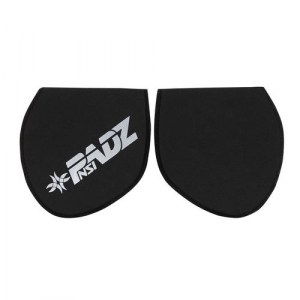 Dimensions: Width: 6" Length: 6 3/4"
Self-adhesive flat knee pad that can be shaped for a custom fit. Sold in pairs. For additional adhesion use H2 Glue (item# 50203.01). Plush kits for whitewater canoes. 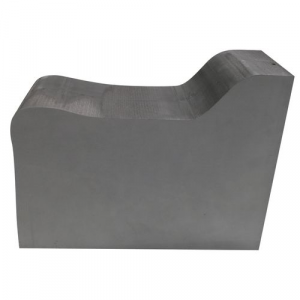 This canoe pedestal provides a kneeling canoe seat for your whitewater adventures. Simply shape with sand paper until comfortable. Glue pedestal in place with H2Glue (item # 50203.01). Toe blocks act as a stop to brace against when canoeing. Sold as a pair. All the necessary Padz to customize a whitewater boat or sea kayak in one low cost, economy package. 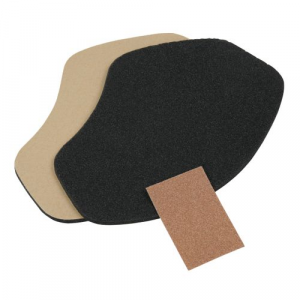 Customize your Padz with sandpaper or a rasp. Glue in pads with H2Glue, Item # 50203.01, sold separately. All pads are non-adhesive. Self-adhesive mini-cell foam to add to your kayak for long-term comfort. For additional adhesion use H2 Glue (item # 50203.01). 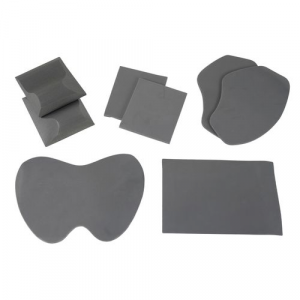 Self-adhesive closed mini-cell foam contoured hip wedges that can be further shaped and customized with the supplied sandpaper. Use H2 Glue (item# 50203.01) to adhere mini cell to your boat. 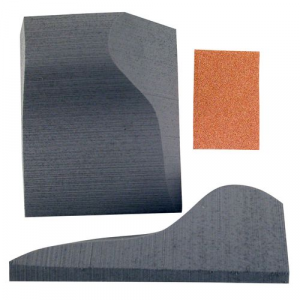 A basic closed mini-cell foam fit kit to customize the feel of your boat. 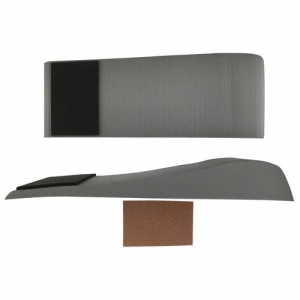 Customize your Padz with sandpaper or a rasp. Glue in pads with H2Glue (item #50203.01). All pads are non-adhesive. 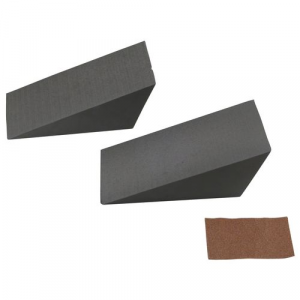 Pre-shaped mini-cell foam block that can be custom shaped with sandpaper or a rasp. Not self-adhesive -Glue in pads with H2Glue (item # 50203.01). 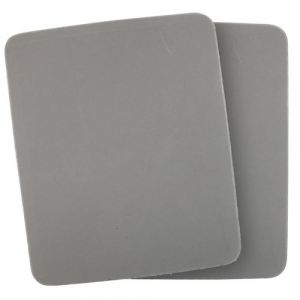 Self-adhesive closed mini-cell thigh pads to give additional support and comfort. 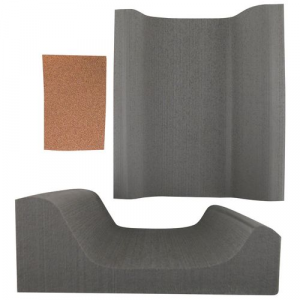 Includes sandpaper to create a customized fit. For additional adhesion use H2 Glue (item # 50203.01).